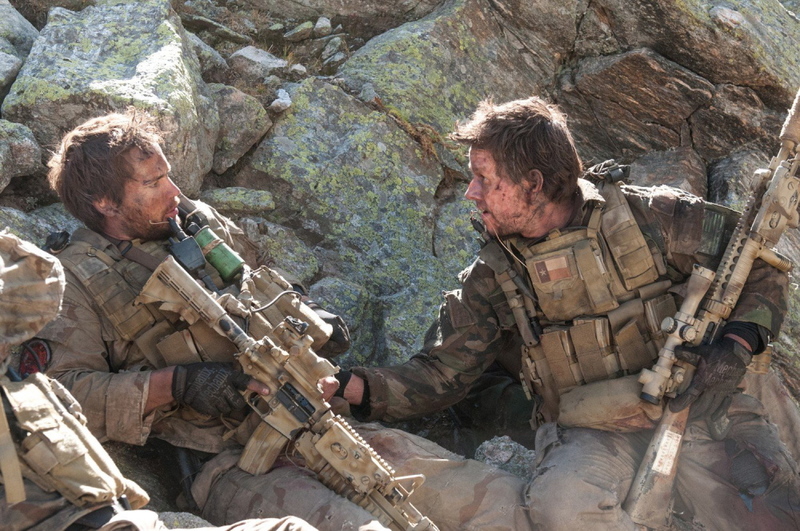 “LONE SURVIVOR,” Mark Wahlberg, Taylor Kitsch. A riveting true-life account hiding in a big-budget action flick, “Lone Survivor” applies the tried-and-true “Die Hard” approach to Navy SEAL Marcus Luttrell’s inspiring and terrifying experience with an elite military unit selected to assassinate a Taliban leader hiding in a remote Afghan village. The mission goes far from smoothly, necessitating a death-defying escape plan that involves rolling down mountains and worse, finally culminating in the titular situation, leaving Luttrell to fight his way out of an unthinkable situation with little more than his wits to rely on. Not a director known for subtlety, Peter Berg (“Battleship”) is more at home with the action movie aspects than with character development, though the fine supporting cast (which also includes Emile Hirsch, Ben Foster, and Eric Bana) handily picks up the slack in that department. Rated R. Running time: 2:01. Suggested retail price: $29.98; Blu-ray $34.98. “ROBOCOP,” Joel Kinnaman, Gary Oldman. While it’s generally accepted (certainly around these parts, anyway) that 1987’s action/sci-fi/black comedy “Robocop” is a near-perfect cinematic experience, the inevitable remake manages to preserve a good deal of the original’s wicked humor and gory effects, and director Jose Padilha (“Bus 174”) should at least be commended for keeping the dream alive, and hopefully inspiring younger moviegoers to seek out the original. Special effects have certainly improved since the original first graced theaters, and the cast works overtime to ensure that the source material isn’t thoroughly dishonored. Rated PG-13. Running time: 1:57. Suggested retail price: $29.98; Blu-ray $39.99. “TRUE BLOOD: THE COMPLETE SIXTH SEASON,” Anna Paquin, Stephen Moyer. Season six struggles a bit to keep up with the multitudinous storylines its writers have embroiled Sookie (Paquin) and the gang in, but it’s always fun to watch them try to keep all their balls in the air, and the addition of Robert Kazinsky (“Pacific Rim”) as an extremely inadvisable love interest for Sookie adds a nicely threatening touch. As always, “True Blood” keeps the blood and zingers flying, a practice they no doubt intend to continue for at least one more season. Not rated. Running time: 10:00. Suggested retail price: $59.99; Blu-ray $79.99. “WORKAHOLICS: THE COMPLETE FOURTH SEASON,” Blake Anderson, Adam DeVine. Unapologetically crass offering combine the drily comic hopelessness of “Office Space” with the subversive, willful idiocy of “It’s Always Sunny in Philadelphia,” with mixed but often very funny results, especially when tired comic tropes are turned on their head rather than mindlessly abided by. You get a little of both of that sort of thing in “Workaholics,” but even at its least creative, the comic energy of this trio of terrible telemarketers cannot be denied. Not rated. Running time: 4:46. Suggested retail price: $19.99; Blu-ray $22.98. “PLIMPTON! STARRING GEORGE PLIMPTON AS HIMSELF,” documentary. In the literary world these days, it’s far from uncommon to encounter writers who garner material simply from throwing themselves into colorful situations and describing their floundering in vivid, humourous detail (think A.J. Jacobs or Joel Stein) but George Plimpton practically invented this humiliatingly engaging format, and this warts-and-all but affectionate tribute brings his efforts back to the fore with footage that ranges from hilarious to heartbreaking. Not rated. Running time: 1:29. Suggested retail price: $19.99. “SUPER DUPER ALICE COOPER,” documentary. Another oversized personality from entertainment past, “Super Duper Alice Cooper” explores the wild and wacky upbringing and rise to stardom of the enigmatic Cooper, shock rocker by day, conservative golf enthusiast by night. With a life and career that can boast more disturbing activity than any horror flick, “Cooper” is a no-brainer whether you have a copy of “Welcome to My Nightmare” moldering in your LP collection or not. Not rated. Running time: 1:38. Suggested retail price: $14.98; Blu-ray $19.98.